Ever since I found out my daughter had a mild sensitivity to dairy, butter has been literally off the table. I felt really bad doing so because many times she’s remarked with a big smile on her face that butter is her favorite food. And you might know how parents feel when we hear that…we will conquer the world to make sure she has what she wants. However, in this case, I could not bend. Many nights she’d be up complaining of a stomach ache so I needed to omit this possibility from her life. I tried replacing this love with coconut oil and although she now calls it “butter” it just never elicited the same reaction. Dave Asprey in Headstrong: The Bulletproof Plan to Activate Untapped Brain Energy to Work Smarter and Think Faster-in Just Two Weeks writes that in 1 Tablespoon of Grass-Fed Butter there is only 0.1 grams of milk protein with nearly 0% lactose; in grass-fed butter there is less; and in ghee there is virtually none if prepared correctly. (1) Ghee is also welcome plentifully at our table. Grass-fed butter is stable for cooking in high heats. Cooking with Omega 6 and Omega 3 oils damages their molecular structure making them unwelcome from a brain or body cell’s point of view. 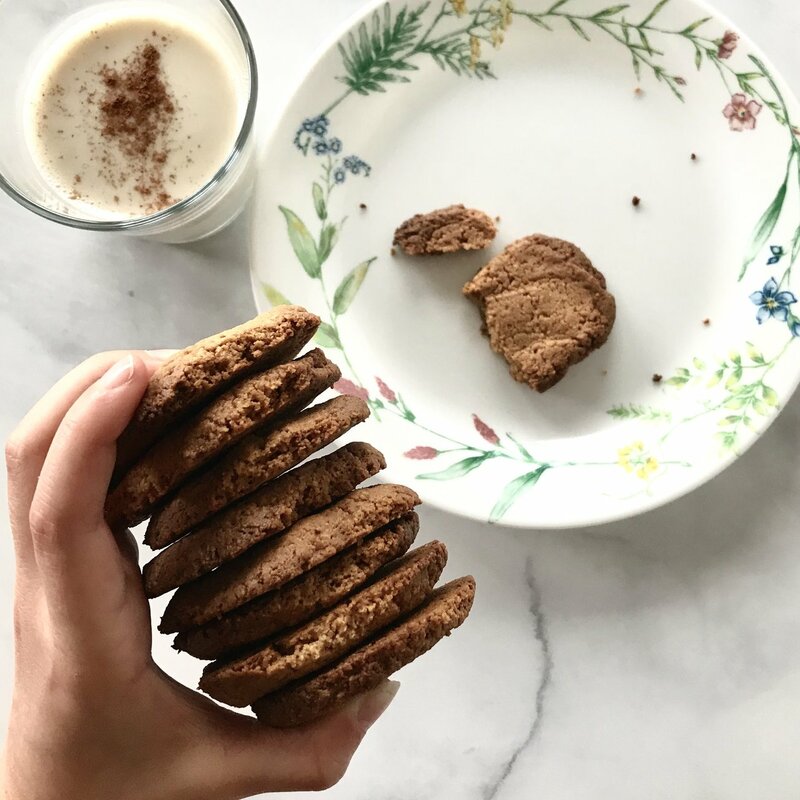 After attempting a few grain and dairy free butter cookie recipes, I finally created a culinary-nutrition approved version with the best fats (grass-fed butter), the most nutrient-dense sugar (coconut sugar) and the most tasty non-flour base (almond flour). These cookies are delicious and deliver lots of stable brain-building fat. One more reason to make my little “cookie monster” smile!! When the butter you put in your cookies helps little brain cells be stronger then it's easy to approve 2 or 3. Grass-fed butter has an extremely low amount of casein and lactose so more than likely stomachs that need to be dairy-free can tolerate it. If you're vigilant, you can always go with ghee which has virtually no offending molecules. Step 8 Serve with love, freshly made almond milk sprinkled with cinnamon or cardamom and enjoy! “Head Strong by Dave Asprey – A New York Times Bestseller.” Head Strong, orderheadstrong.com/.